Located on the Mezzanine Level, the Half-Note and Onyx Boardrooms were designed with intimate meetings, brainstorm sessions and interviews in mind. 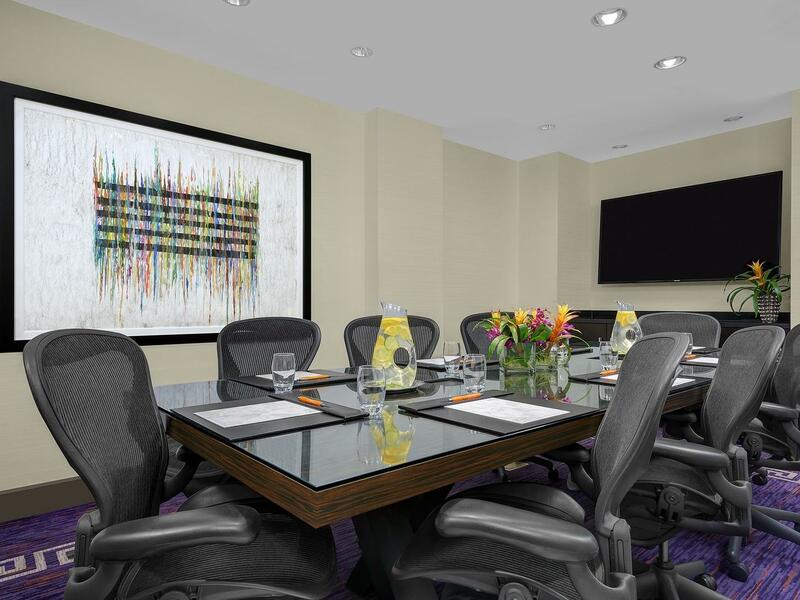 Enjoy plenty of natural light from large windows, state-of-the-art technology, sophisticated conference tables, leather ergonomic chairs and 65-inch HDTV screens. A credenza is also featured for displays during presentations or staging snacks and beverages for refueling breaks. 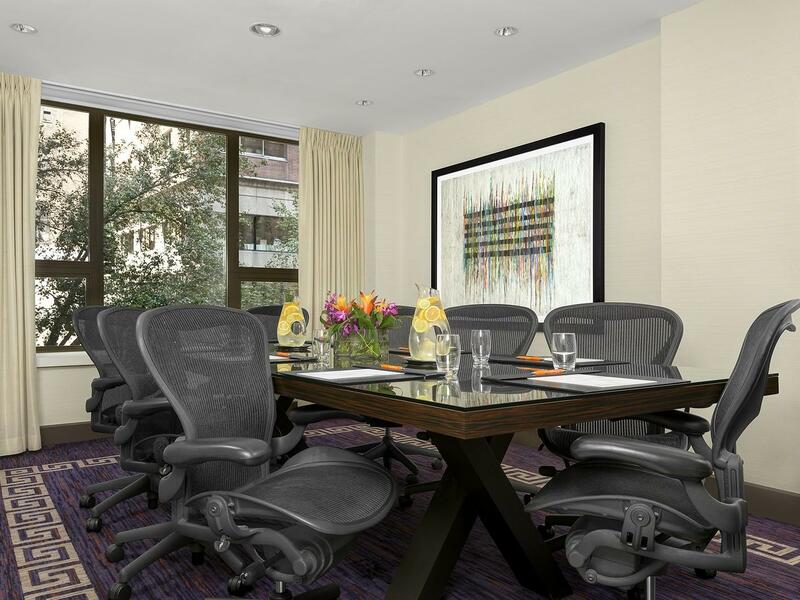 Half-Note & Onyx can each host up to 10 attendees boardroom style.